Dr. Andersen is a board-certified neurologist and is both fellowship-trained & board-certified in Sleep Medicine. Having devoted her practice to Sleep Medicine full-time, she joined the Colorado Sleep Institute in 2016. Dr. Andersen completed medical school at the University of Iowa Carver College of Medicine, and went on to complete her Neurology residency at Vanderbilt University Medical Center in Nashville, Tennessee. She stayed at Vanderbilt Medical Center to complete her fellowship training in Sleep Medicine. After fellowship training Dr. Andersen moved to La Crosse, Wisconsin and practiced both neurology and sleep medicine at Gundersen Lutheran Medical Center. 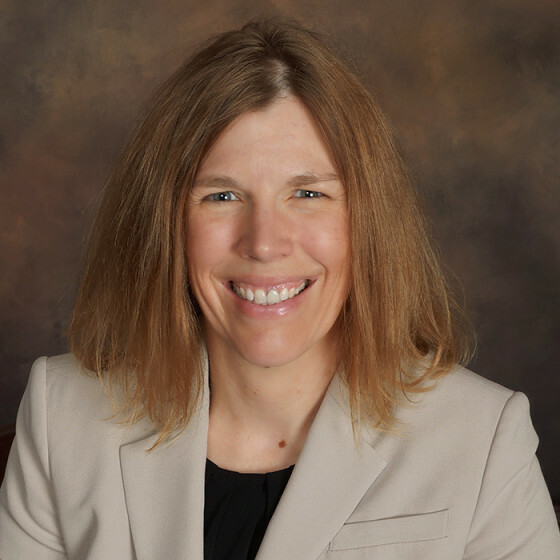 She transitioned to full-time sleep medicine at Gundersen Lutheran Medical Center in 2012 and served as Medical director of the Gundersen Lutheran Sleep Center. Dr. Andersen is an active member in the American Academy of Sleep Medicine and the Colorado Medical Society. Dr. Andersen finds it very rewarding to witness significant improvement in the lives of her patients through proper treatment a sleep disorder. She particularly enjoys teaching patients and their family members about the importance of healthy sleep in relation to the overall health. With her neurology background she is able to appreciate the complex relationship between sleep disorders and neurological illnesses including Parkinson’s disease, epilepsy, and multiple sclerosis. She also enjoys treating pediatric sleep disorders and has a particular interest in treatment of sleep apnea in children with neurodevelopmental disorders. Outside of work, Dr. Andersen spends most of her time exploring the community with her husband and their three daughters. She loves the outdoors and enjoys road cycling, mountain biking, Nordic skiing, and feeds her competitive spirit with the occasional cyclo-cross race.